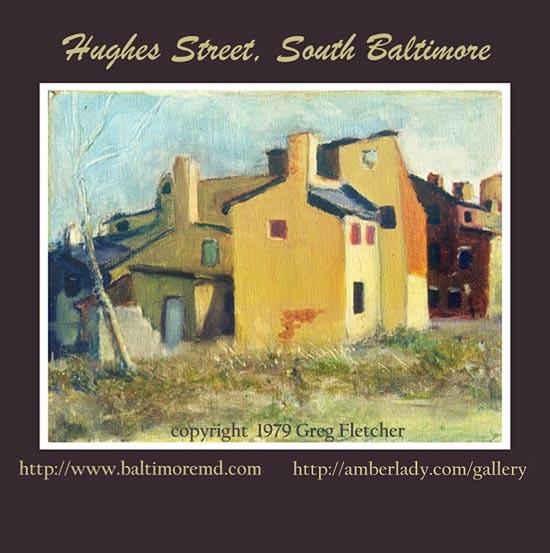 These Hughes street houses in South Baltimore once housed Baltimore & Ohio workers during the 19th century. They are built at a 45 degree angle toward Huges st., in effect its an accordion of houses. These houses are now renovated and are considered part of the Otterbein Historic district. To me they are part of the real South Baltimore .